Hi ladies how are you? Leggings made a big revival last year with the introduction of a very quirky but unique pattern: kaleidoscope! You may remember these little toy tubes filled with pearls, coloured glass, gems and little sequins that would create the most stunning patterns when the tube was rotated. Inside was a lens of a prism that would change the pattern and sequence of elements permanently. Kaleidoscopes have fascinated me since my childhood and the creation of unique and fleeting patterns has carried me away into a world full of wonders and imagination for hours. 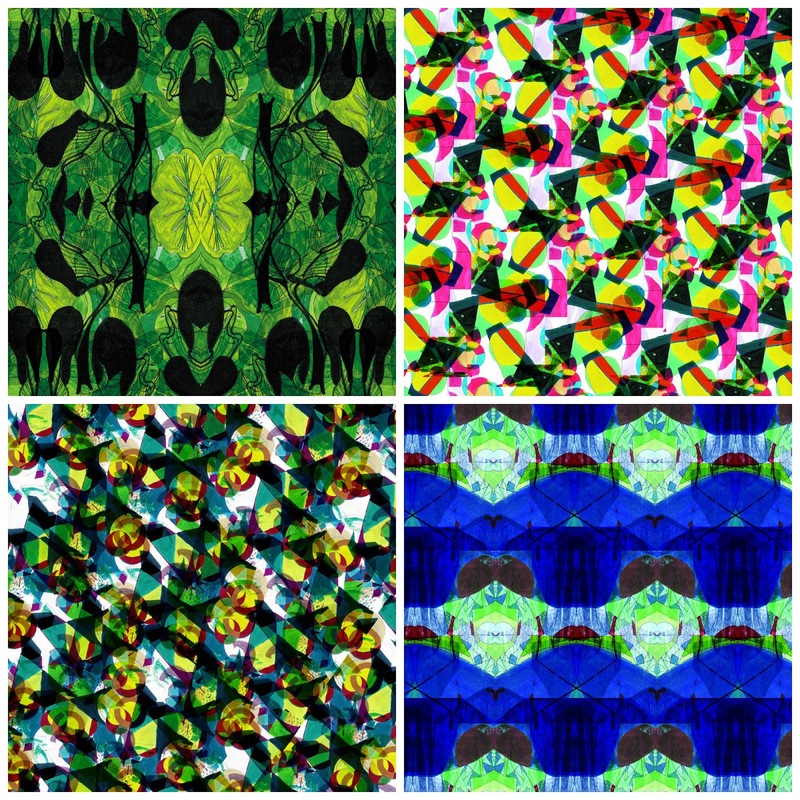 This principle has inspired the fashion industry in 2014 and Kaleidoscopic prints became a popular trend. I was fortunate enough to come across a Bristol-based artist who designed ethically and sustainable psychedelic leggings with the mesmerising effect. The unusual designs glam up the casual loungewear and the original 80's fashion item as we know it, did no longer exist as a boring basic version of black and white. Leggings suddenly became fun, a must-have of the season and a true wardrobe essential for the brave and experimental fashionistas amongst us. This design is called 'Aubergine Dream' and was inspired by the growth of plants of a Welsh garden in the summer. It aspires to take your imagination into the world of growth and nature so you can feel the energies of life. As you know me, my style is classy and not very experimental or wild. I always try to have a centrepiece and work my outfit around it and I did so with this pair. The print is already very bold so to bring a bit of tranquillity into it, I teamed it up with a plain white boyfriend shirt and added some accessories. The belt is simple but the leopard necklace shall pick up the wild side of the leggings. 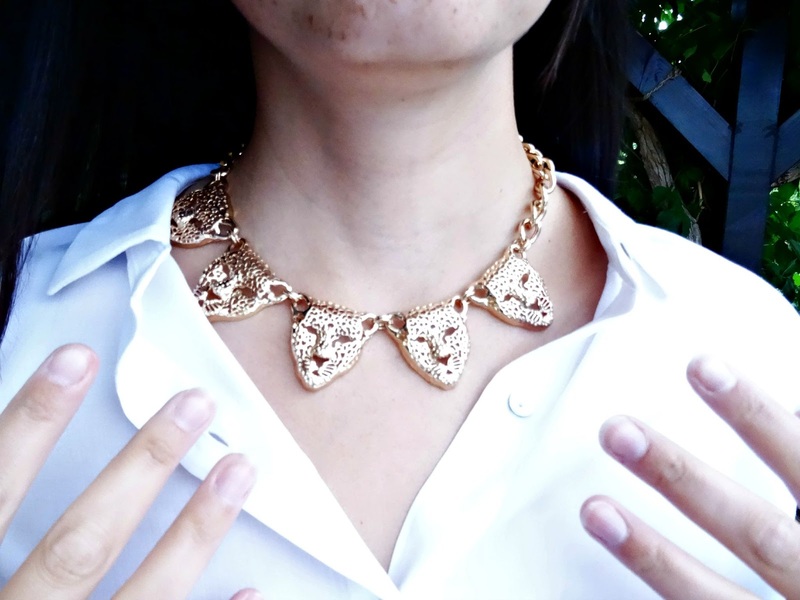 My inspiration to use the Leopard necklace came from the famous artwork by Henri Rousseau's Jungle collection. I’m sure, the designs will stir your imagination and I’ve got great news for you if you have already started to create exciting and thrilling looks in your head. I’ve got a pair of your choice to give away. Mount Olympia captures the energy of Zeus, Father to the Greek Gods, whilst The Marine Rhyme depicts an ode to the sea and ocean. Queen Hera N'Now prisms Hera's sign - the eye of a peacock's feather tail and Aubergine Dream takes you to a Welsh summer garden to feel the energy of life and nature. To be in the chance of winning a pair (UK10) of your choice worth £50 you have to leave me a comment below, telling me which pattern you prefer and how you would style it. One pair of leggings UK10 will be up for grabs in this giveaway. The winner can choose the design. You can enter by leaving a comment, telling me which pattern you prefer and how you would style it. Please also fill out the Rafflecopter form. Both are mandatory. The competition will run from 13/08/2015 till 20/08/2015. There will be one winner. The winner will be informed via Twitter/email on Sunday 23/08/2015 after the competition has closed. The leggings were bought as a blog competition prize for Style Lingua. The prize will be sent as soon as the details have been provided by the winner. The prize will be sent with either (UK) Royal Mail or German Mail.